Absolutely stunning town-home in hot Jefferson Park. 360 degree views and high-end finishes make this 2 bedroom + study/den, 3 bathroom town-home a must see! This home features high end automation such as wall surround sound, zwave thermostat, automated door lock, a garage door opener linked to the home security, hardwood flooring, 10 ft. ceilings, tankless hot water heater, study/den, gourmet kitchen, Quartz counters, stainless appliances and eating space that opens into the bright living room with large windows providing an abundance of natural light. 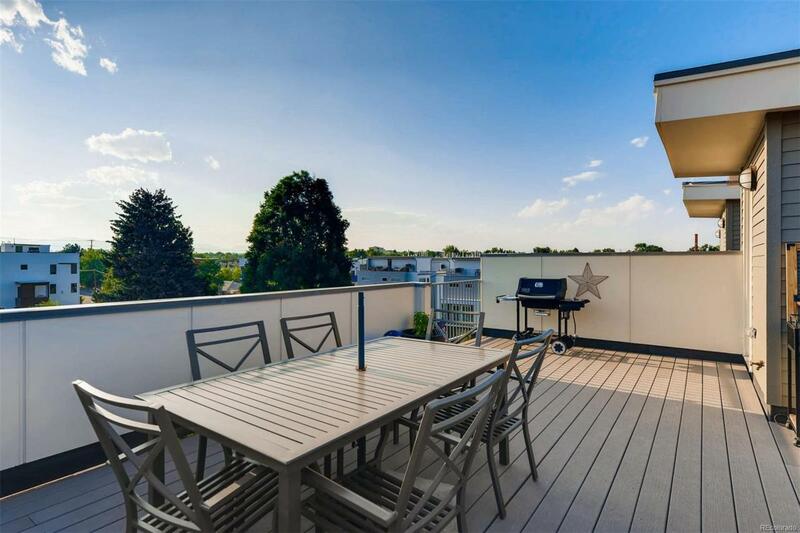 The expansive rooftop deck provides the perfect place for entertaining or casual living with spectacular views of the Front Range mountains and views of the stadium and city! Quick access to Downtown and RTD. Offered by A-Squared Real Estate.